Damage was also found on the face and other foot of the Boer War memorial in Kelvingrove Park. The statue depicts a Highland Light Infantry soldier and was erected in the early 1900s shortly after the conflict ended. Police believe it was damaged by two teenagers wearing dark clothing between 11pm and 11.20pm on Tuesday. Officers are now appealing for information and hope any dog walkers in the area at the time can help. 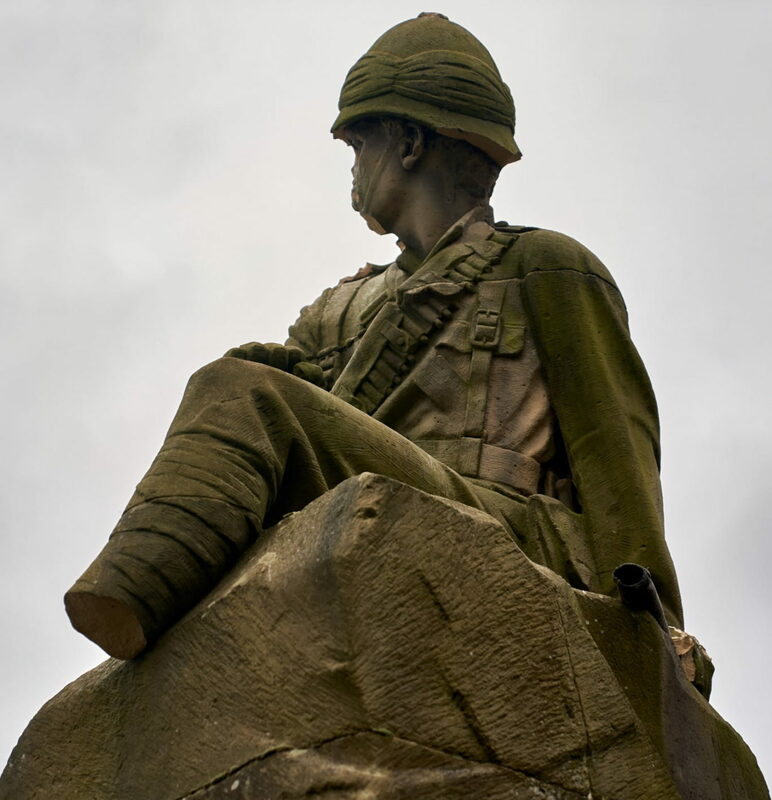 A Police Scotland statement said: “Officers are appealing for information after a military statue was vandalised in Kelvingrove Park on Tuesday February 12 2019. “Officers believe the Highland Light Infantry statue was damaged between 11pm and 11.20pm and are appealing for anyone who may have been in the park around the time of the incident to contact them. “Officers believe the two suspects are in their late teens and wearing dark clothing. “It’s possible someone was out walking their dog and may have seen these two teenagers near the statue or in the surrounding area.